The yachting industry has become one of the most attractive industries in Hainan as yacht manufacturing enterprises, yacht docks, yacht trainings, and yacht exhibitions flourish. According to incomplete statistics, there are more than 260 newly-registered yacht-related enterprises, and more than 2,000 newly-constructed and planned yacht berths in Hainan. The principal of the Haikou Entry-Exit Frontier Inspection General Station said that they inspected 177 inbound and outbound yachts from 1st November, 2011 to 17th February, 2012, with 117 inbound yachts and 60 outbound yachts. 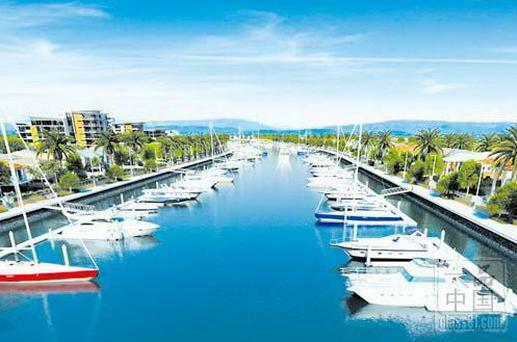 Haikou and Sanya have become hot cities for yachting tourism. Haikou has held 2 Yachting Industry Forums in a row, and several yachting exhibitions were also held separately in Haikou and Sanya as of this year.